Back in the day, it seemed all you needed to get out and explore the world was a tattered Lonely Planet Guidebook and a backpack. Today, most travelers have replaced their paper guidebooks with an iPhone or Android phone. While some of us may secretly pine for simpler times, it’s a fact that smart phone can be a great help when traveling. 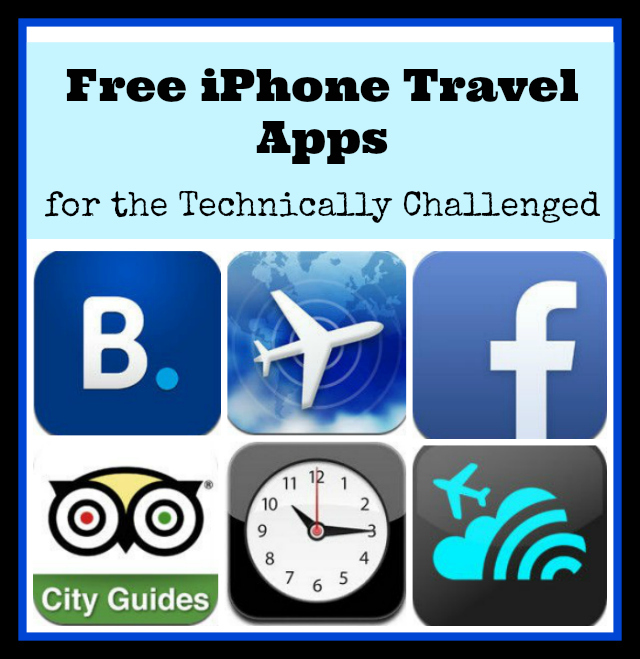 Here’s a list of 10 iPhone apps that can make your travels a world easier. Tripadvisor’s offline city guides work even without an Internet connection. This is a lifesaver if you’re on the road without WiFi or a data plan. The offline city guides have all the essentials, including restaurant, hotel and attraction info and a map. The best part of the TripAdvisor Offline City Guides is that your phone’s GPS integrates with the app’s map even when you’re offline, so your location always shows as that trusty little blue dot. The city guides are only available for major cities. The Google Maps app is available for car, public transportation and walking. Google maps will give you turn by turn directions, making it easy to get around. FlightTrack is a simple, no fuss app for keeping track of flight information. The app will tell you if the flight you’re on is on time, and also lets you know airplane info, your airport and your departure or arrival gate. There’s a version of the app that costs $9.99, which gets excellent reviews on the App Store. 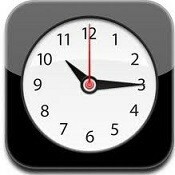 The simple Clock app that comes with your iPhone has everything that you’ll need to work as an alarm clock. It’s simple, reliable, and easy to use. Since the Clock app is native to the iPhone, you cannot download it from the iStore. Just search your iPhone for the Clock. You can use the Google Translate app to translate to and from over 60 languages. It also has a helpful feature that will allow you to auto detect a language. If you happen to have an Android phone, you can download language packs that will let you use Google Translate offline. Unfortunately, the language packs aren’t available yet for iPhones. You can also speak into Google Translate and hear the translate spoken back to you which is incredibly helpful when your accent is a problem. The simple Weather Channel app forecasts the weather for almost any location in the world. There’s a pay version with more features, but the reviews are a bit mixed. There’s a pay version of the app ($1.99) that does not have ads, but lets you monitor twice as many currencies as the free version. Skype, the granddaddy of internet calling apps, is reliable and user friendly. Calls to the US and Canada are free of charge, and you can call other countries for reasonable prices. Skype has video calling and speakerphone capabilities. Skyscanner, a relatively new airline search engine, has an easy to use app for finding flights. It’s a useful tool for figuring out the cost of flights, and determining which airlines fly certain routes. The downside is that you can’t book your flights directly with Skyscanner. However, the app can direct you to the airline’s website where you can book a flight. Booking.com is probably one of the few hotel booking sites that is equally useful in North America and Europe. The app is simple to use. There’s also a computer based version of the app, and a last minute app called Booking Tonight for booking last minute rooms. Half the fun of travel is being able to share the sights we see with friends and family. That makes Facebook a must have for sharing photos and updates. Gas Buddy gives you the lowest gas prices across North American. Most of the information is entered by users, and tends to be very up to date and accurate. Gas Buddy also allows you to search for different types of gas, and lets you know the address and amenities for each gas station. 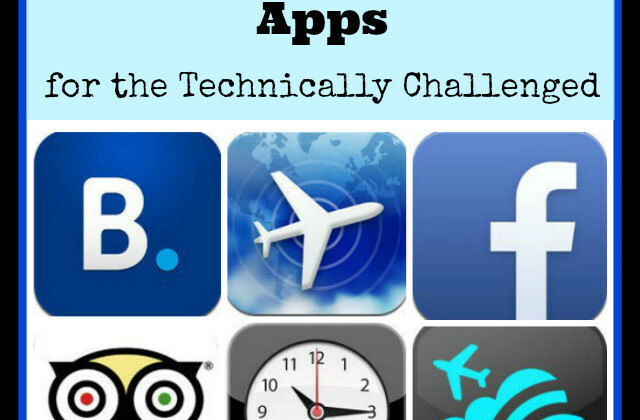 Are these some of your favorite travel apps? Let us know in the comments..
Great list! We use Gas Buddy all of the time – it’s saved us a fortune on road trips. I love love love the TripAdvisor city guides! They’re seriously THE BEST apps for getting around a city. The best part is that you don’t need a Wifi connection. Love this! I just had some friends wondering about things like this, so I will have to share! I am so glad I saw this! I just got my first iPhone, and there are so many apps out there, its hard to choose which ones would be best to get.